There is something so appealing about natural smooth stones. over the years are displayed as garden "art". I wanted to share the unique beauty of these natural forms. How do you make these? carefully balanced on each other. their shape and their "centered-ness" on each other. have been used to mark trails throughout history up to current times. Their official name is "cairn" or a "duck". 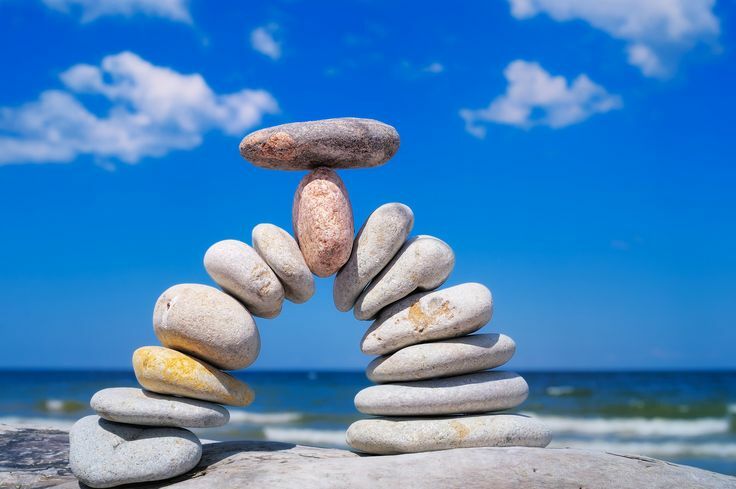 "A cairn is a large pile of rocks, typically 3 feet high and 2 or more feet wide. More common perhaps in the east than the west, these piles are visible in even the worst conditions, helping the hiker to find his way home. which may explain their enormous and growing size,"
(Howtowilderness.com. Photo credit: Lisa Jarvis). items that allow you to bring the stacked art inside. 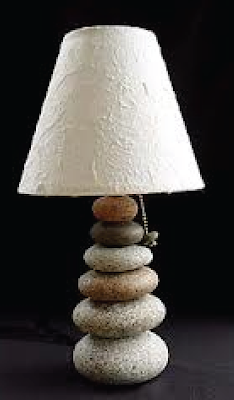 The Cairn Lamp, is from Timberstone Rustic Arts. I have become fascinated with this simple yet powerful art form. For more ideas, there are some beautiful photos over at Pinterest to amaze you! I like lamp, and necklases verry much. Interesting post. 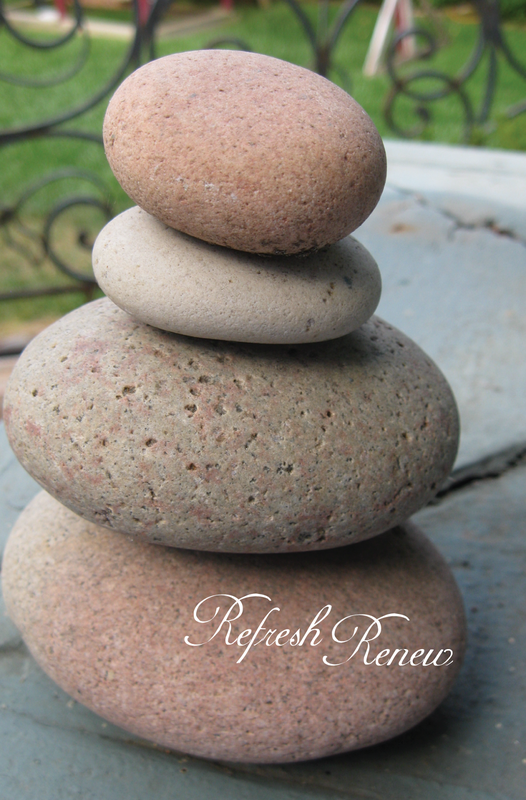 How cool to create garden art using stones from the beaches you visit. That is very creative, Aimee! 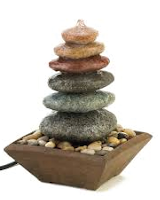 I also enjoyed reading about other uses for stacked rocks. Thank you Stacy! 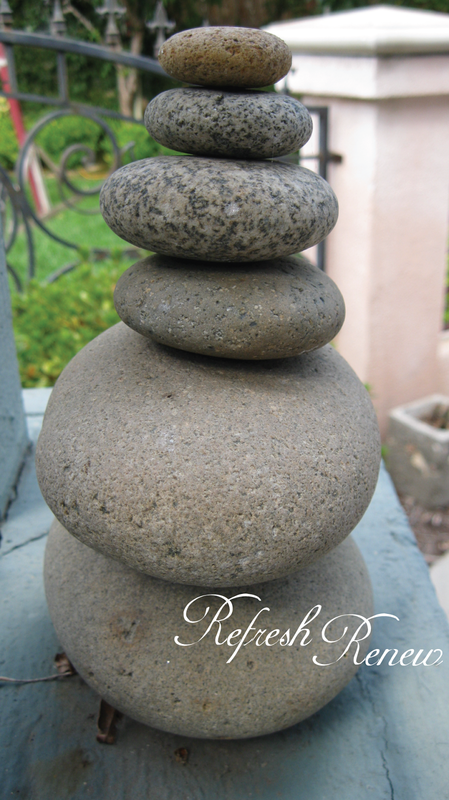 It is amazing how stones can create such beautiful displays. I love the look of stacked stones. They look so pretty in a garden. I saw them stacked together in a shape of a rabbit, so cute! I think they drilled a hole into each rock and secured them with a rod. Another project to put on my bucket list. Thanks for stopping by with your cute comment! Thank you Jody! hugs back! 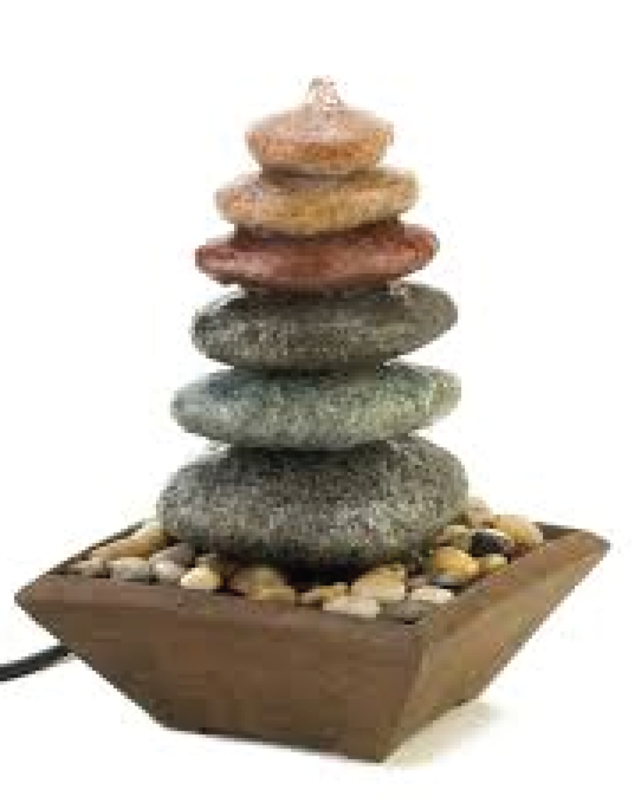 I really like the ideas of the stacked stones. Even better that you collected them from places you've been. Great addition to a garden. Beautiful post! 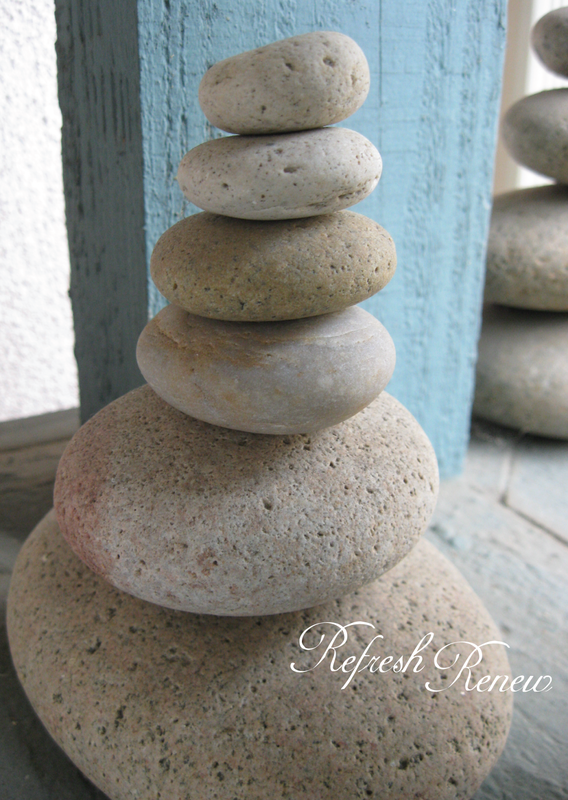 I love the look of stacked stones. I need to start collecting some smooth stones to do this with. Or maybe I could just build a duck! I really need to make myself a couple of these for my garden. I have quite the collection of rocks since I'm always on the look out for them when we go camping, atving and floating down the river. We always seem to bring a rock or two home with us as well...makes a fun rememberance. 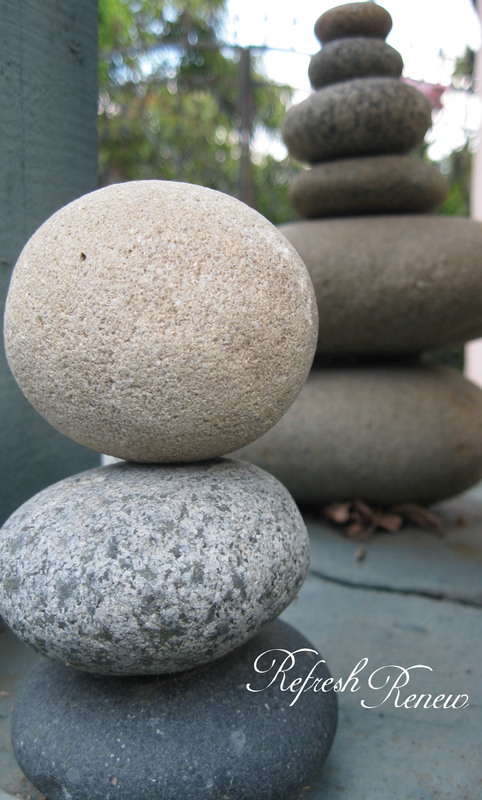 The smooth stones are so serene. Beautiful garden art. Love this! When we visited Sedona, I was amazed by all of the stacked stone formations. I, too, collect random stones and I have to say, the New England beaches produce some beautiful ones! Great post! Love this! Our family stacks stones wherever we go. 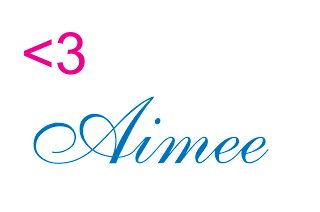 I've even blogged about it! 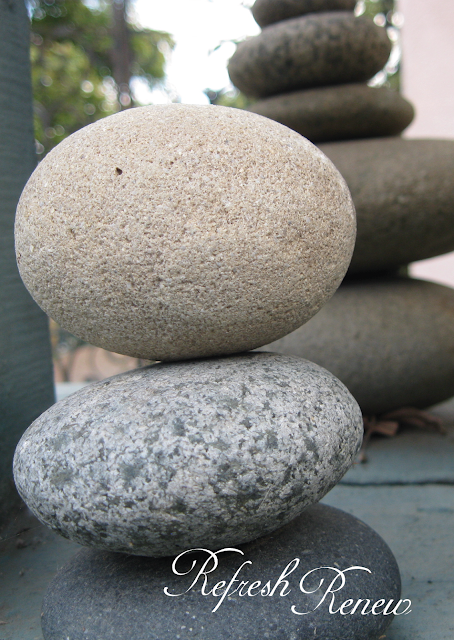 I bring home stones from our vacations and stack them with a bit of E-6000 (just a bit, it dries shiny and you don't want it to show) and have stacked stones in my spa/bath. I love the look!